Byler died in Al Mahmudiyah, Iraq when an improvised explosive device detonated near his HMMWV during patrol operations. He was assigned to the 2nd Battalion, 502nd Infantry Regiment, 2nd Brigade Combat Team, 101st Airborne Division, Fort Campbell, Kentucky. Died on October 31, 2005. Please send information, photos, and corrections for Army Spc. William J. Byler. "Today I was just thinking about how cool you were. Thanks for letting me borrow that Pat Green CD. I played it until I hated it. Lol. Rest in peace my brother. Gators!" "Byler was a great soldier, but he was an even better human being. He was simply awesome to be around and our unit was crushed by the loss of Bill and the other heroes that we lost on Halloween 2005. RIP Bill Byler, which is how is name appears on my bracelet that I wear every day to honor him and 6 other fallen Eagles. Miss you Brother." "Thinking of you Byler this Memorial Day weekend. Rest in peace brother!" "SPC Byler was like family to me. I rememebr the first time we met... It was in northern Iraq of the city of Mosul. He actualy crossed paths with one of my sectors. Startled me for a sec then.... Who knew we were to become good friends upon redeployment from our first tour in Iraq. Every year at this time in October one can't help but think back to all the good times shared with such a great individual. Eventhough it has been nearly 6 years to the day upon which this worrior, friend, brother gave his all for this great nation the memories of him then and my thoughts for his family members left behind to greive through such a loss are there. There is not a day that goes by in which I do not think of Justin. Your family is always still in my thoughts Byler..."
"byler i sure miss the times that you me and book had at my house in tenn. i sure miss poker night at adam's house. i'll always remember you as a good ol boy, a brother in arms, and mostly as a friend. you'll be missed justin. but never forgotten. still got all the pics from the first tour! god bless you man and be with your family. we'll meet again one day!" "Thank you for your Sacrifice,I Love You Forever and Always, Love Aunt Leiane"
"William J Byler will forever be remembered and celebrated for the man and soldier he is. I served with him in A Co 2-502 Inf. He was my Texas connection, we would swap Texas Country Cds and sing along with the latest greatest Pat Green album that someone would burn and send to either of us. It was always good to know that my Texas Flag was not the only one around. I know you hurt and your pain is deep. I try to honor SPC Byler every day, everyday I proudly wear a bracelet etched with his name in remembrance. God Bless your family and always know that your Son and your Brother is remembered and honored by the Prescott family. Strike Force!" It's that time again where we salute you for your service. I will never forget you and I know you are always looking over me. The good days of BBQ'ing and drinking beer will always be remembered. My SALUTE to you, Strike Force!" "hello. i was looking for justin and i was hoping he was not really fallen. has he? please let me know." ""We "Strike Force" soldiers of the past, remember those who have come after us and have given the ultimate sacrifice. Specialist Hutchinson is NOT forgotten. We never served together, but you were a fellow Screaming Eagle--a fellow STRIKE FORCE trooper--a brother for eternity. Rest easy 'bro."" I would just like to say thank you to you and the other three soldiers who were also killed in that blast for your service and sacrifice for our Country. And to your family and loved ones, I wish to extend my deepest sympathy. Back from my 4th tour to the war and I still carry the memory of Justin close to my heart. I often tell my airmen of his devotion to his country and his ultimate sacrifice. I share with them tales of his childhood as my patient and when he worked for me on the farm in Ballinger. I feel I have lost two children with the loss of Justin and of course Zach. Know that he will not be forgotten and that his memory is imparted to new service men and women under my command." "I was Bylers mortar platoon sergeant in iraq 03-04 I still miss him, I remember him staying over at my place and when i would get up i would see his long legs hanging off my love seat, just a great kid and i always called him Bill, he hated it and would always say it's William. the little things we all carry that byler gave us we will cherish forever, I miss you man"
Timothy of ft. bragg, n.c.
""It's hard to know what to say. The last Bylers I knew were Hamp and Mary Jane - good friends of my grandparents, Troy and Hester Simpson of Ballinger. I now have sons Justin's age - one who just finished 6 years in the Navy. I hope to meet Justin's family and thank them for Justin's service and the sacrifice they have made to make this a better, safer world. I may be through Ballinger on Nov. 25, 2007. If I could be so honored as to meet you, please call me on my cell at 318-780-8008." "Justin's contagious laughter and smile will always have a place in my heart. I'll always miss our midnight trips to Wendy's, nights spent drinking beer and playing pool, his generosity to drive 45 min. from Ft. Campbell to pick me up from WKU just to see me, and his love for his friends and family. He often spoke of us taking a trip to Ballinger to meet his parents and family. It was so wonderful to have an awesome friend like him and I'll never forget the endless amount of smiles he put on my face when he stood on stage and sang Hank William JR's songs lol. He was quite the character. Justin: This memorial day you are missed by many people who hold you dearly in their hearts and will forever. We all love you and miss you like crazy." "Although i didnt get the chance to be best friends with justin we did get to chase girls and put a few back together. I had thought alot about getting in the military but after talking to him a little about it he helped make up my mind i have been in a little over a year now and getting ready to deploy for my first time but i aint worried cause i know he is there to watch over me and help me make it back home so i just want to say thanks to byler for doing what he did." "To William's Family, I am so sorry for your loss. You are in our prayers. William, you sir are a true American Hero. Thank you William for all you have done for us and our country. God bless you William and God Bless your family." "Justin was always a good friend, and fun to be around. I am proud to be fellow soldier of his." May God's embrace comfort you at this time of deep sadness and pain. Please know that Hospice of San Angelo, Inc., (325) 658-6524, is here to support each of you, if need be, to have one on one counseling. Our Hospice team is part of the proud "Operation: Render Comfort" and our mission is to offer support to the families and friends of fallen soldiers. We know your Justin only as a HERO and we thank him for his uptimate sacrifice. God's blessings to each of you." "I served very cloesely with Justin on his first tour in Iraq He was a Great soldier and beyond that he was a great man it saddens me deeply to here about the loss of him. 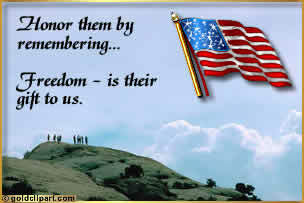 May we never forget the sacrifice of the ones that gave their all so that we can read this." "I had the pleasure of meeting Justin while stationed together at Ft. Campbell. He was a really great guy and one of the truest Texas boys I have ever met. Being a fellow Texas I appreciated his love of the Lone Star State and his love of country music... it was nice to have someone else that appreciated the same things that I did so far away from home. He was an absolute joy to be around with his contagious smile and easy manner. He will be missed. It was honor to know him." "To the Byler family. All of you are in my prayers everyday. The Byler house was my second home for a long time. Linsdey and I being best friends growing up together and Justin being the big brother I never had. God is always going to be watching the Byler family that have been blessed with so many boys that will all be a great men like Justin. Espically Russell who looks more and more like Justin everyday. I will never forget the last time I saw Justin on the beach in corpus last July when he pushed my Jeep out of the sand. I remember giving him a hug goodbye. He will never be forgotten espically his laugh, smile, and wrangler jeans. Bless the Byler family. I will always love each and everyone of you." "Byler Family - As a fellow brother at arms, I am deeply sorry for the loss of Justin. Although I graduated 2 years after Justin and not getting the opportunity to hang out with him, I still remember that he took pride in everything he did. I thank the Lord everyday for the freedom that our nation has, and I too will do my part to ensure that it stays that way. God Bless each and everyone of you and may this loss make all respect what our military is here for. Again, God Bless!" I know that you are grieving the loss of Justin, but just know that all of us, your family, will be here to support you. When you think of your loss just remember of all the great memories, the infamous Padre Island trip, the hunting story,and all the rest of the wonderful memories. Justin was a great guy and a great soldier. I am proud to be called his cousin and I just want to thank you and especially thank you to Justin who is a true hero to us all. He will never be forgotten. Love you Justin, Aunt Karen, and Uncle Will"
"I'm privelaged to have known Justin all his life. Being a part of my close, wonderful family cannot be expressed in words. Justin was not only a cousin to me, a nephew to my parents, he is a son, friend, hero to all. This was no more made evident as the people of Ballinger, Rowena lined the streets holding flags, signs, shedding tears as we drove in Justin's funeral procession yesterday morning. The citizens of our small communities have shown such compassionate support for Justin and our family. He isn't just part of our family, he's part of everyone's. We have lost a wonderful person, so many memories will be with us for the rest of our lives. I've never been more proud of Justin, our family, our country. Although at this time there is such hurt and sorrow in our hearts, there is no greater comfort than knowing Justin is home, in Heaven, with our Lord, looking down on each one of us. He was an amazing person, full of life, laughter...his laughter, a unique laugh no one will forget. For my Aunt Karen, Uncle Will, the kids:Lindsey, Russell, Jett, Kennedy, and Casey: Justin might be gone for now, take comfort in knowing we will see him again. Justin is a true American hero and now an angel watching over us. I love you, Justin. You'll always be in my heart." Thank you so much for giving us such a wonderful man, ok well he started out as an obnoxious boy, but he really turned into a wonderful, fun loving, live life to the fullest, never met a stranger, always laughing, positive, uplifting, role model,loving, responsible, loyal, strong MAN! Thank you for the opportunity for us to have those characteristics in our lives, because God knows that we needed all of them at one point or another, have some peace in knowing that he is home for good and you now have your own personal guardian angel. Everytime you look at each other you will think of Justin, he is in your eyes, in your smiles, and in your laughs, but most importantly he has imbedded himself in OUR hearts. I'm sitting here trying to find the right words to say. I don't know where to begin. I just want to give you my deepest condolences. My brother Kelly and Justin were best friends. I had the pleasure of meeting Justin over Labor Day weekend at my parents' house. He was a very nice young man. Your are all in my thoughts and prayers. I know Justin and Kelly are our Heroes!!! 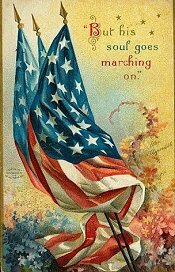 Along, with every MAN and WOMAN that have fought and that are fighting for our Country!!!" "I just want to say i am so thankful for having the pleasure in meeting you. If it wasn't for you, me and Matt Fulton would have been sleeping at the old lake. Thanks for pulling us out. Thanks for the ultimate sacrifice that you made for me and everyone else in this great nation. You will always be remembered but never forgotten. Your family will be in my prayers." "To the WHOLE family of Justin Byler. There are no words to discribe the grief this town feels for your loss. Blessings and comfort to each of you. His smile and laugh will never ever be forgotten. His kindness and bravery will forever live in our hearts. God Bless You and help mend your hearts." "TO THE BYLER FAMILY FROM THE WAHL FAMILY. DEEPLY SADDEN BY THE NEWS. WILLIAM THANK YOU FOR SERVING OUR COUNTRY. AN FOR BEING A MILITARY BROTHER TO OUR SON GREGORY. MY TEARS NEVER STOPPED FLOWING FOR HIM. TODY WILLIAM THOSE TEARS ARE YOUR'S. FOR YOU ARE SOMEONE'S SOMEONE AND YOU ARE SOMEONE TO THE WAHL FAMILY. YOU HAVE TOUCHED MANY HEARTS. GOD BLESS!" "Peace be with you and your Family and Friends..You were an Amazing Young Man..Your Family has lost so much this past year...My Prayers to you all.."
"I am deeply sorry for your loss and the loss of another brave Texan. May you find comfort and strength in God to face the days ahead. "Justin Byler, old high school mate of my younger sister and my brother-in-arms. "Thank you" for your service to our beloved country. My condolences to family and friends. To the parents, "thank you" for raising such a courageous son. Justin, you are missed...but never forgotten." Sgt Ruben Castillo / USMC of Arlington, Texas/U.S.A. "Our thoughts and prayers are with you, all of Justin's loved ones. May God give you peace in your heart and strength to carry on. Justin lived life to it's fullest and was such a great guy! His memory will be in our hearts forever. Justin proudly served his country, now he proudly serves with angel's wings." "Thank you William Byler, you will not be forgotten. Your bravery goes beyond words. I want to express my deepest gratitude for your sacrifice. To the family and friends, my prayers and deep condolences in your loss. May God strengthen you from knowing that fellow Americans and people around the world care about you and grieve with you in your loss. God bless you all. A very appreciative fellow American,"